Ever wondered what all those instagram-worthy press events you see all-over your favourite fashion people’s feeds are really like? Lucky for you, we’ve got the inside scoop from one of our lovely PR gals, Charley. 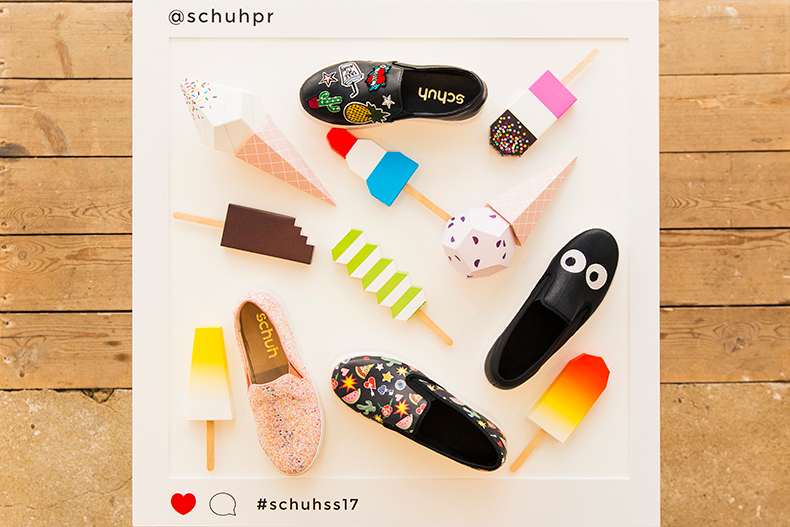 Channel your inner fashion editor and read all about the best bits of the schuh SS17 Press Day. 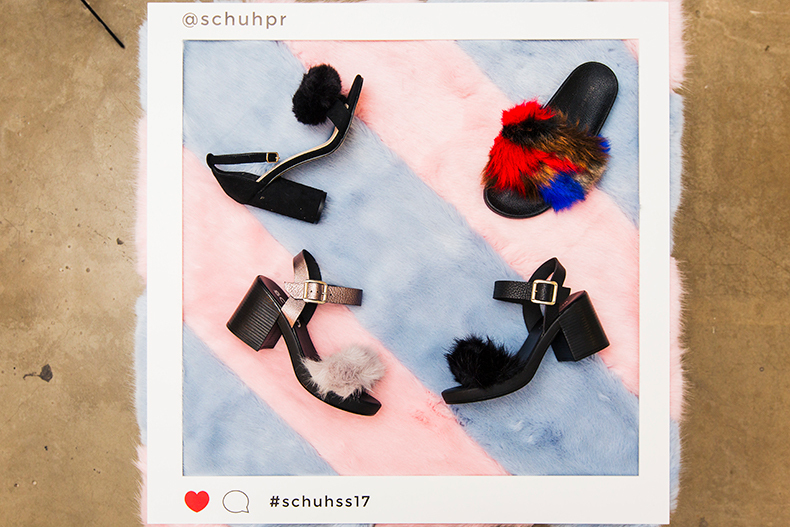 For many, last Thursday was a typical chilly day in November, but for the schuh PR team it was the day of our highly anticipated SS17 press day. 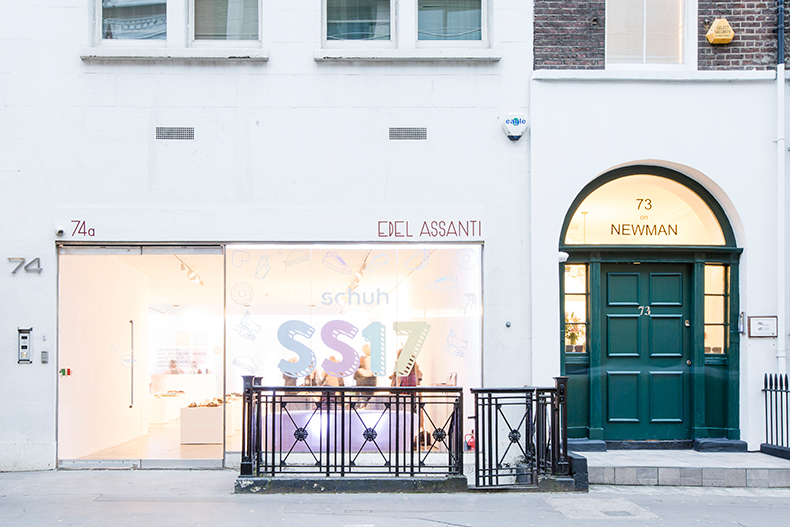 After months of meticulous planning with our events agency Inca, schuh PR transformed an art gallery into a bloggers paradise! Our theme of social media was relayed throughout every aspect of the day; from Insta-famous food to our very own Snapchat filter, we made sure all bases were covered. We displayed our product on plinths inspired by Instagram flatlays. For those who don’t know, flatlays are how bloggers and influencers get those beautiful bird-eye shots of their favourite shoes, make-up products, coffee cups etc. 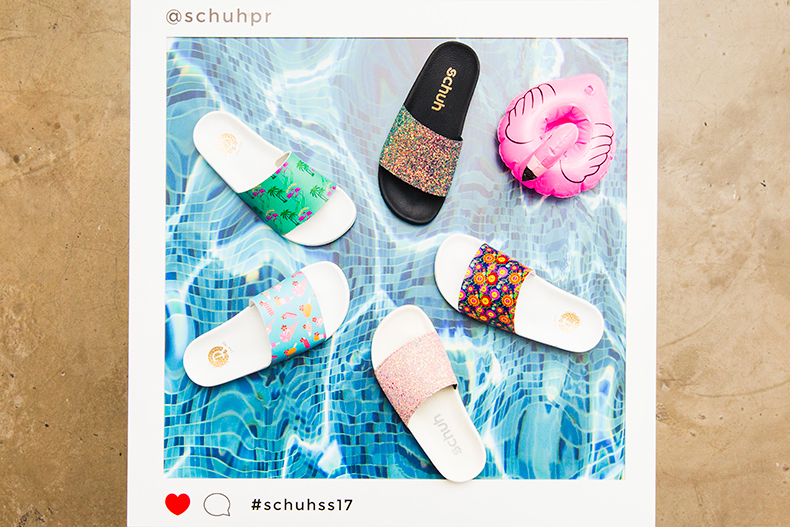 Each of our flatlays encompassed a SS17 trend, including faux fur, florals and pool slides, as well as generic summer events, such as festivals, beach holidays and city breaks. We also had a Snapchat filter for guests to use on the day to become part of our press day story! Food was, in a word, INCREDIBLE. We were spoilt for choice. In the morning we sipped juice and chowed down on breakfast tacos from Breddo’s Taco’s, and for lunch we ate toasties from Grill My Cheese. 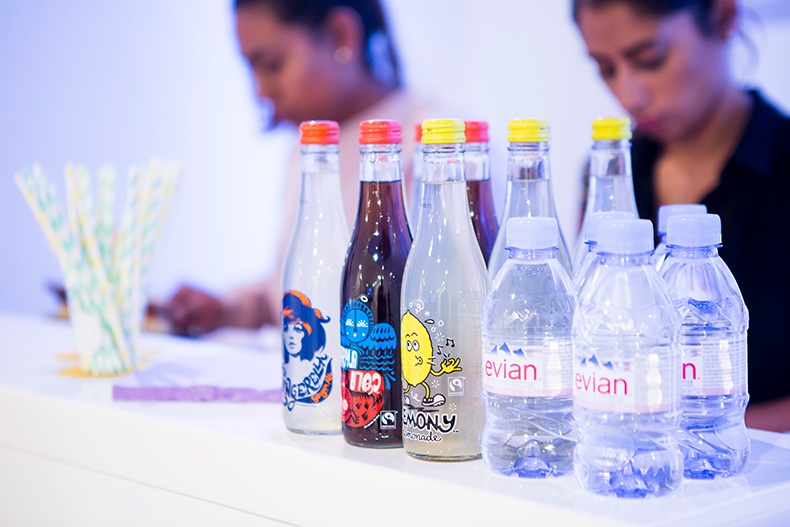 Karma cola kept us refreshed all day with endless amounts of their delicious, fair-trade lemonade, cola and ginger beer. 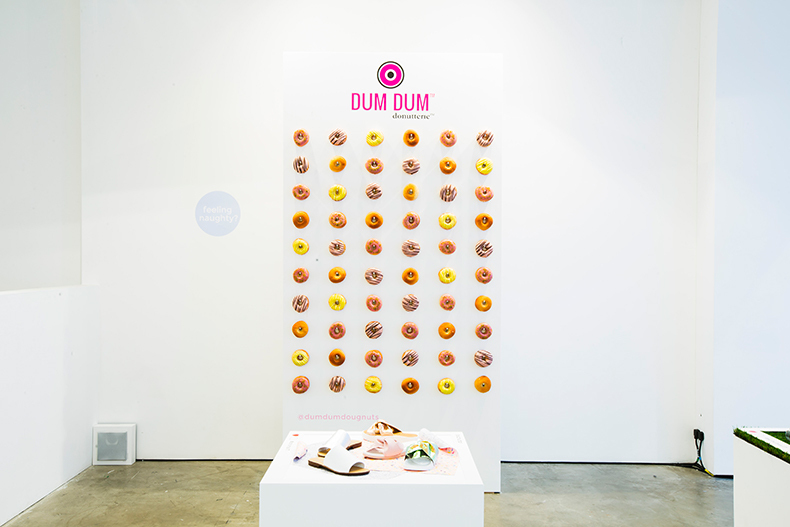 Last but not least, guests could select a doughnut from our doughnut wall – yes you read correctly, it’s exactly what you think, a wall made of doughnuts! Now for the main event. 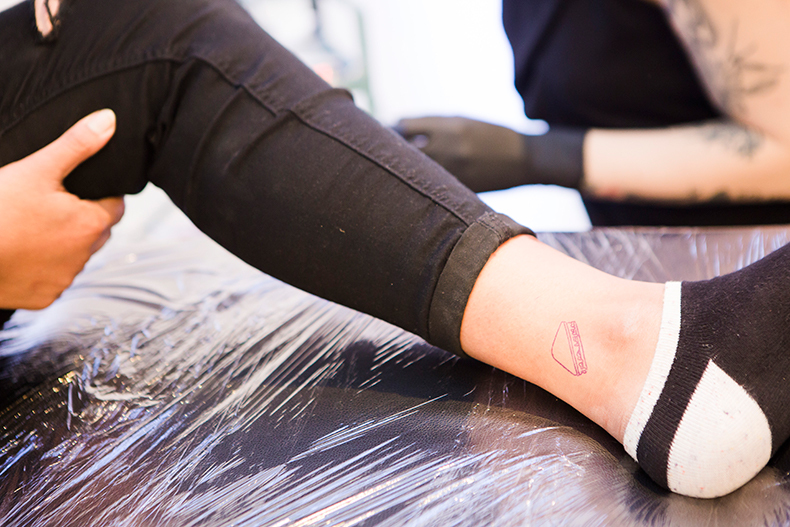 As beautiful as our shoes and as delicious as the food were, we wanted to make sure we left a lasting impression on our guests; so naturally we had a tattooist from top London tattoo studio, MetalMorphosis. Keeping with our social media theme, guests were able to jump on the back of one of the biggest Instagram beauty trends of the moment,by getting themselves their very own micro tattoo. 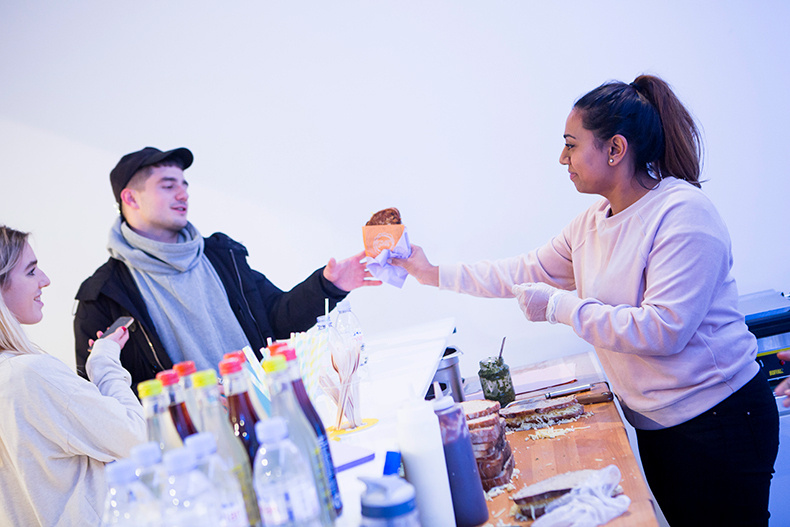 Guests could choose from a menu of the most popular designs on social media, whilst those who weren’t feeling as brave were still able to watch and enjoy the literal ‘buzz’ from the guests who did. 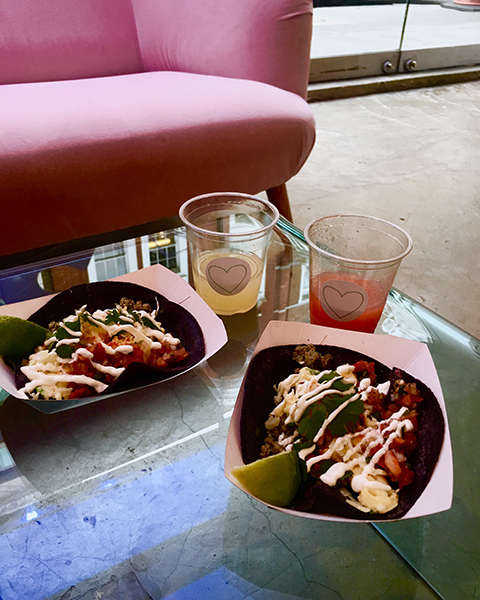 After a successful day of tats, food and catch-ups with our favourite press we were well and truly press-dayed out, until AW17 anyway!